The French Quarter, elaborate city parks, and unique burial sites are just some of the highlights of this New Orleans sightseeing tour. With roundtrip transportation and hotel pickup provided, this is a convenient way to take in the many sights surrounding the city. The French Quarter, with its stunning architecture and elaborate balconies, is the perfect starting point for a tour of New Orleans. Considered the birthplace of the city, this area is home to some of the oldest structures in the United States, including the St. Louis Cathedral. 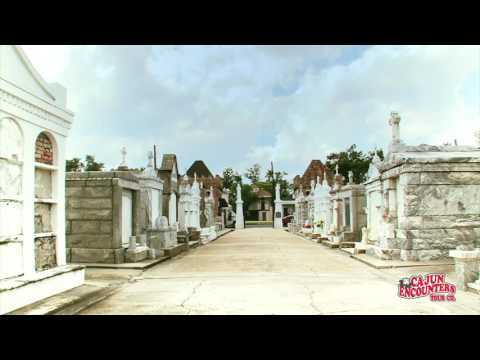 Continue on to the St. Louis Cemetery, also known as the “City of the Dead,” for a walk along its characteristic graves. Your guide reveals stories about its history and anecdotes about some of the unique methods of burial. Stop for a view of the world's largest collection of live oak trees in City Park, then make your way to the Garden District. See the homes of old New Orleans upper-class. The luxury and extravagance can still be seen in the many mansions along picturesque St. Charles Avenue. Finally, drive through the New Orleans Warehouse District, where your guide points out famous movie sites, the National World War II Museum, and the Contemporary Arts Center. Optional Pick-Up Point: Homewood Suites F.Q. This tour does not allow time inside the National World War II museum and the Contemporary Arts Center. Butch was our tour guide and very knowledgeable. We enjoyed our day. My husband doesn’t walk much so this was the perfect tour! Very little walking.